Street parking with meters, local car parks. 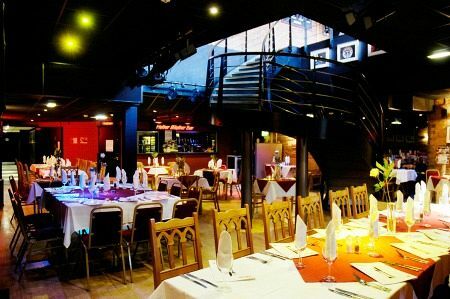 This festive season, make your office Christmas celebration one to remember with this excellent comedy venue situated in the vibrant city of Manchester and laugh away the stresses of the past year! 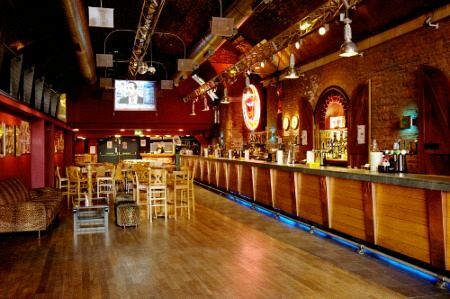 Situated in the Deansgate area, the venue is home to the finest stand-up comedians in the land and features a purpose built 500 seat theatre. 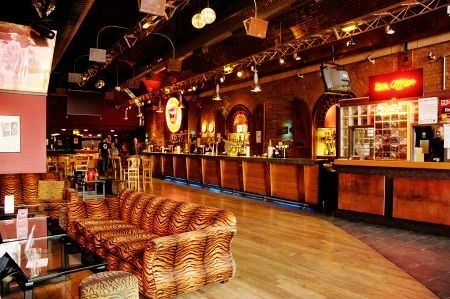 The venue is easily accessible for guests, with the nearest railway station being Deansgate. For any non-drinkers who are wishing to drive on the night, then street parking with meters are available in addition to local car parking facilities. 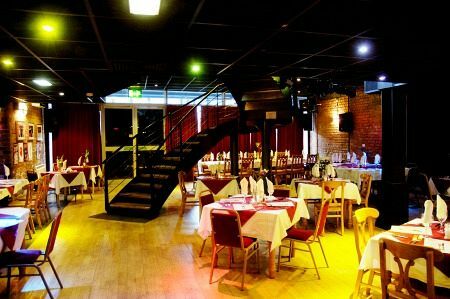 Whether you’re looking to simply enjoy a comedy show with your colleagues, or opt for a package that combines some delicious food in addition to disco till late, then the friendly and dedicated team at the venue will be more than happy to cater for your requests. There’s some mouth-watering food on offer at the comedy club so why not get some organised for the Christmas celebration and team it with some rib-tickling humour? There’s a fantastic and extremely tempting Al-a-carte menu which offers two tasty courses, or perhaps you’d prefer to choose something from the bar menu, which boasts a delectable selection of pizza, burgers and more. Finish the night off with a trip to the dance floor and throw some shapes to some of the best party tunes around! A selection of top tracks will ensure that everyone’s having a brilliant time dancing the night away. So if laughing till it hurts sounds like your idea of a good time, then don’t hesitate and get this fantastic Christmas night booked as soon as possible! your bill. This will be presented to you at the end of your meal.